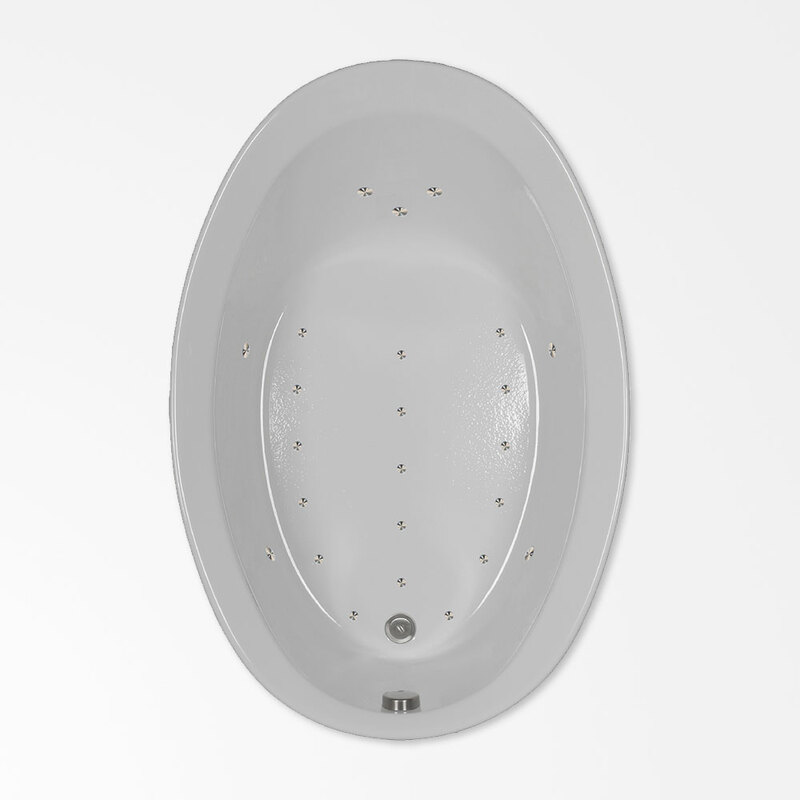 Create elegance and luxury without sacrificing space with this classic oval air bathtub. Relax in comfort with its curved lumbar backrest and let the gentle effervescence of millions of tiny bubbles soothe away your cares. Soak up to your chin in its 18-inch depth and bathe without feeling confined in its extra wide 38-inch span, all the while accommodating a tight space with its 56-inch length. Its curved shape and inward sloping deck create a designer look compared to rectangular tubs with flat decks. The streamlined design is not only elegant but also allows for easy cleaning. An automated purge cycle keeps the air injectors dry and clean. A galvanized steel base supports the tub and ensures long-lasting quality.